The high quantity of trading instruments is of vital significance for traders, investors and portfolio managers. In this connection GeWoko Method gives a unique opportunity of largely expanding the range of trading instruments. This enables traders to make profitable and low risk investments. Below there are mentioned various assets included in distinct classes which will make it possible to create completely new asset combinations. Avoid losses while trading on financial markets by accessing high quality analytical support. GeWorko method brings the analytical support of Your investment to a new level. It makes it easy to find safer investment opportunities through creation of your own personal instrument – a portfolio with asset combinations that shows stable growth dynamics. Most importantly, analytic capacities of Geworko Method are available for Free through downloading NetTradeX Platform. This is a case study on active portfolio management with the Geworko method. 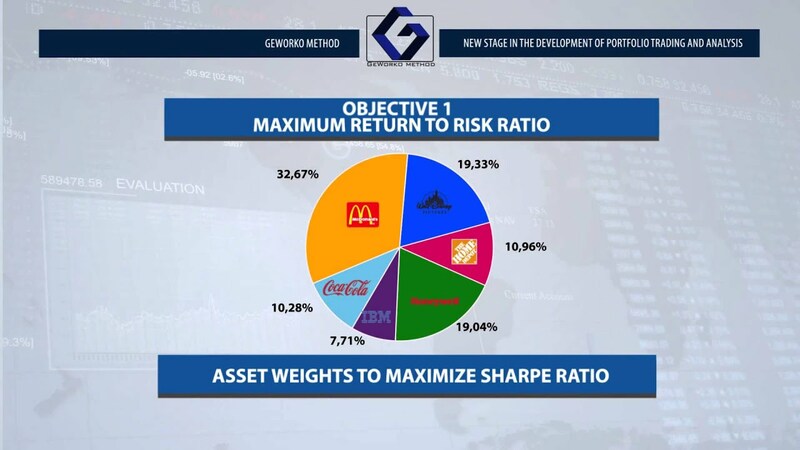 To construct an optimal portfolio you have to consider asset characteristics and you own individual constraints, which becomes significantly easier with the revolutionary Geworko Method. Thus, implementing an active portfolio management strategy one locates assets that systematically outperform the market while meeting the investment needs. 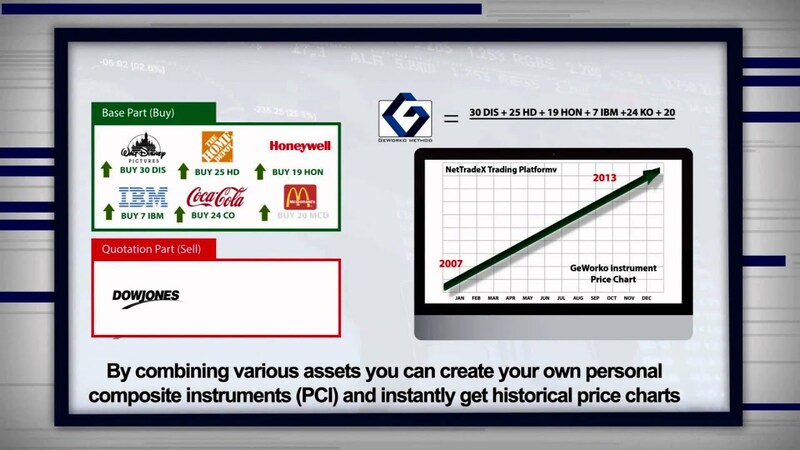 Here with the Geworko method investment alternatives are created with six selected stocks for different type of risk return profiles. Portfolio diversification can lower risks while skillful asset selection can lead to higher returns. Using these two principles with the GeWorko Method one can literally be ahead of the market. Here is an illustration of a portfolio of 6 stocks from the composition of Dow Jones Industrial average. 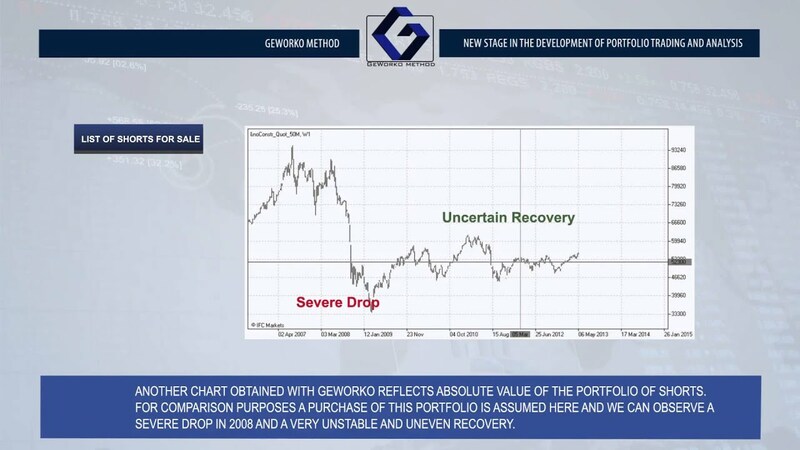 One can see how using GeWorko Method this investment can be protected during the Global Financial Crisis, from which the index managed to recover only in March 2013. GeWorko Method is an innovative approach to financial markets research and analysis. This method is extremely useful in creating unique financial products and developing investment strategies. 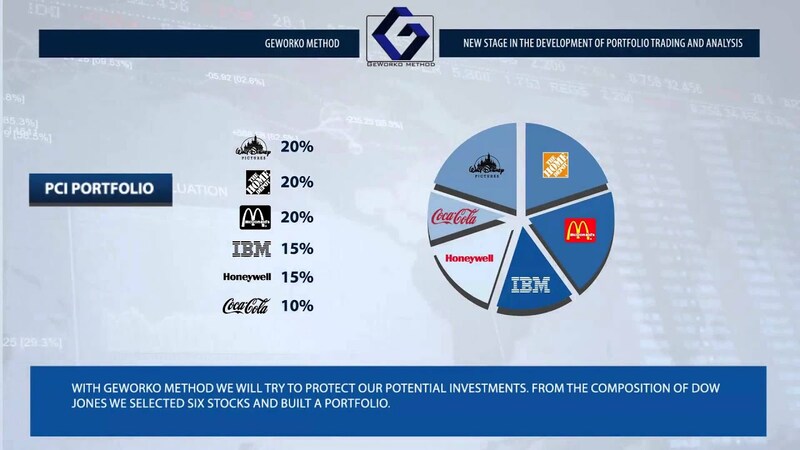 This is a tutorial on creating a working strategy and optimization for a portfolio build of 22 liquid stocks using ample capabilities of the GeWorko Method. Portfolio optimization is carried out through including both long and short positions and illustrated though charts.